In the late 1800s both Americans and Brits were wild to learn about deepest, darkest Africa. The Scottish Livingstone was a self-described medical missionary who had made two previous trips to Africa, where he tended to the sick and explored the continent. Livingstone had not only named Victoria Falls after Queen Victoria, he also wrote about using quinine as a malaria cure, and he believed that mosquitos might carry malaria, which back then was quite a connection. On Livingstone's third trip to Africa, he went missing when his expedition ran into a string of bad luck. Henry Morton Stanley, a correspondent in Africa for the New York Herald, famously went searching for the missing doctor. The stories sold like wildfire and there have been several movies about the adventures, including one starring Spencer Tracy. 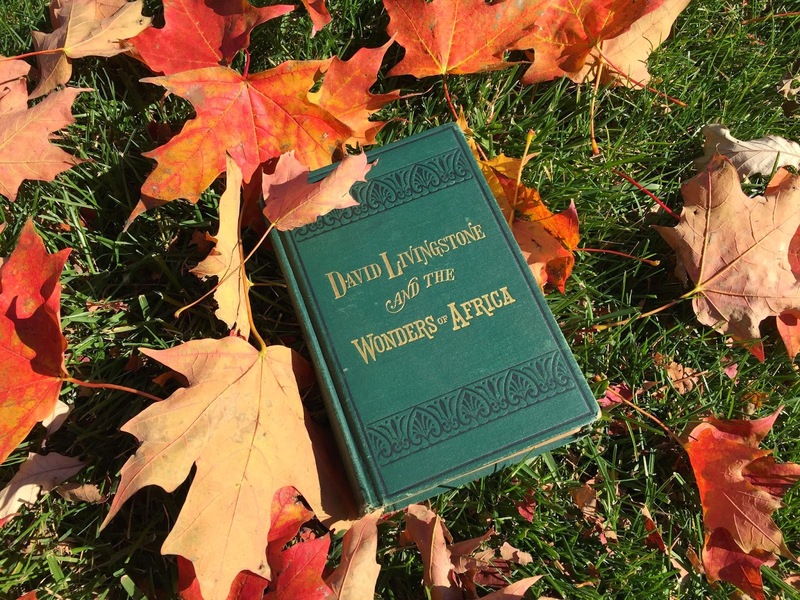 I found this beautifully bound copy of David Livingstone and the Wonders of Africa published in 1874. It has great illustrations of both men. Of course, if you know the quote, you know that Stanley eventually found him, but Dr. Livingstone was quite happy where he was - working with the people of Africa. So Stanley moved on and wrote about his adventures. Livingstone eventually died of malaria at the age of 60. 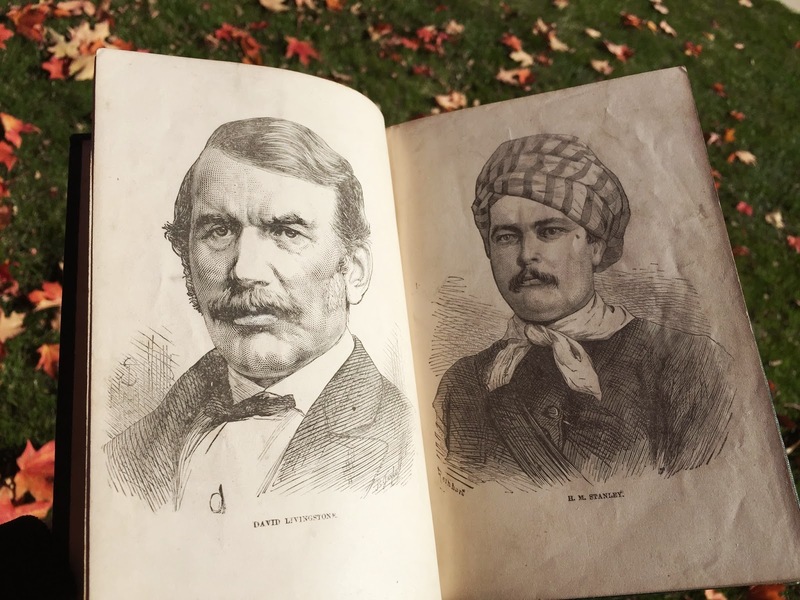 But you have to admire the courage and adventurous spirit of both men to travel the African continent in the late 1800s. They were both true explorers.